Identification status: 95% confidence. 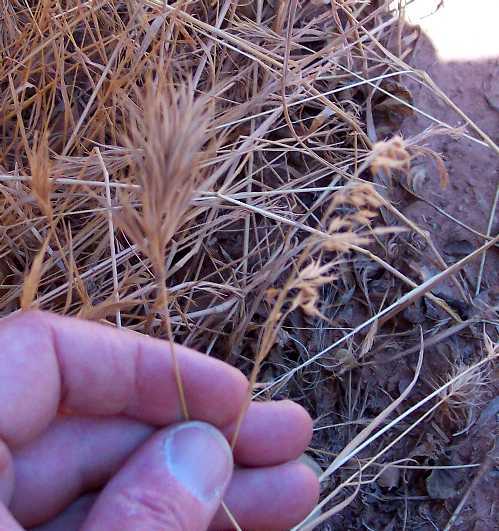 There are several other much-less-common non-native species that appear similar to Bromus tectorum, which are distinguished by the number of veins in their glumes. It is very difficult to determine this without microscopic examination. However, none of the look-alike species are in the Grand Canyon flora, so B. tectorum is the overwhelmingly-likely determination. On my next trip, I'll examine the glumes to make 100% sure of the determination. 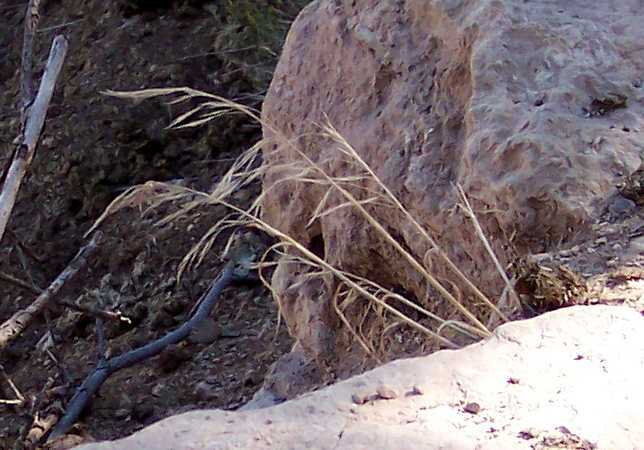 From a SEINet search, there are 27 vouchers of this species from the Coconino County portion of the Grand Canyon. The nearest are at: El Tovar Hotel and W of Grand Canyon Village. Note that there may be additional vouchers at other herbaria not available through SEINet. Number of plants along Trail: Unfortunately, this species is found in many places along the trail. 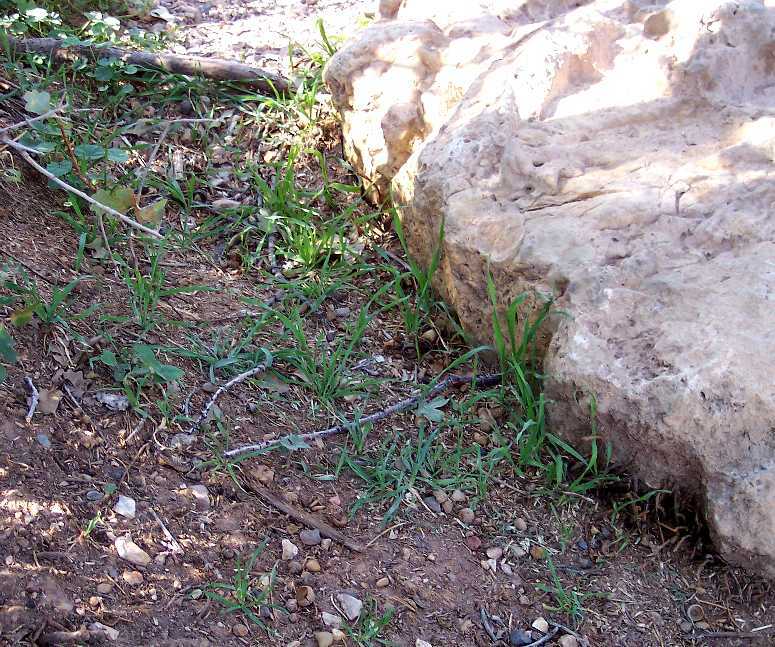 At least 99 plants were found in at least 9 different locations in September 2007. The first picture below shows young plants that have germinated from the summer rains. Note the twist to the leaves, typical of many non-native annual grasses. Also note the glaucous appearance of a few plants at middle bottom, also typical for some specimens of many non-native annual grasses. The species could not have been identified from these young plants alone. The second picture shows a dried-up old plant, probably from last spring, that accompanied these young plants. The nodding branches are typical of B. tectorum and its few uncommon look-alike species.